The European policy brief is one of the most visible results of the Debating Threats to Democracy project and a culmination of months of research and writing of trainees under a supervision of national coaches, coordinated by an experienced team on international trainers. They all have developed the European policy brief on the basis of national policy briefs that were discussed in the international event in Vilnius taken place from August 18-23th 2016. All participating countries were required to write a national policy brief analysing a threat that young participants involved in the project identified as the most significant threat to democracy in their country. Their choices ranged from fair elections, racial discrimination, absence of media presence, threats of neighbouring countries, youth apathy, exclusion of minorities, and political demagoguery, and national policy briefs served as a basis for the aggregated policy brief. 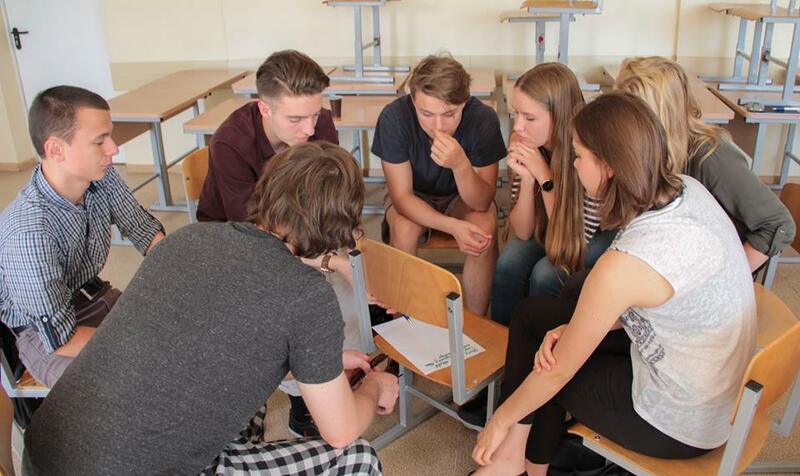 At the first DTTD international event that was held in Lithuania in August 2016, a group of students that were members of the special policy track led by Miha Andrič chose three main topics from the topics of national briefs, further researched and analysed them and wrote a special policy brief that identified the problems and solutions of the issues. These three topics were first presented to other participants of the event during the World Cafe activity and then used as a main input for the contest in which students submitted their papers on the selected topics, which were 1) political apathy, 2) extremism: the rise of extremist political parties and 3) marginalized communities, which were later merged into one aggregate policy brief and also used as a basis for the second international event in Bratislava. The author of the best paper on each topic was later invited to present it in the European Parliament in front of the members of parliament to whom the final policy brief was later also handed over. More information about the Debating Threats to Democracy project can be found at the http://www.idebatepeaceanddemocracy.com/ and http://www.idebate.org/.